Bodhidharma Association is the oldest Buddhist association in Finland. It was founded in 1947 and was originally known by the name Buddhismin Ystävät – Buddhismens Vänner ry, The Friends of Buddhism. Our teacher is a Finnish monk Venerable Tae Hye sunim. We practice (sŏn) zen- and metta-meditation in an atmosphere of spiritual friendship. Welcome! To arrive by public transport, take the subway to Hakaniemi and walk 5 minutes, or take one of the numerous busses and trams going by Hakaniemi marketplace (Hakaniemen tori) and walk 5 minutes. Check the map here. A day of meditation is usually held on the first Sunday of the month at 10-16 o´clock. The day consists of sitting and walking meditation, silent meal (each participant brings something) and physical exercise. Two retreats, one in winter and one in summer. The retreat times will be posted on the “Tapahtumia” (Events) part of the website as soon as a place and time has been set. For more information contact ry.bodhidharma(at)gmail.com. If you feel interested in Buddhist lifestyle and practice you can become a member of Bodhidharma Association. All members pay a small annual fee and in return can freely use our library. Members also get 20% discount on retreat prices. 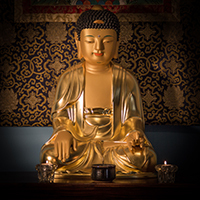 With the help of annual payments from our members we can work for the spreading of Buddhist teaching in Finland through our meditation meetings, supporting monks, organizing retreats etc. You can participate in all our events without being a member and there is no fixed charges. Generally our activity is funded by free donations from people attending. To become a member, please contact ry.bodhidharma(at)gmail.com. To support us, you can transfer money to account number FI6420011800120803., reference number 2244, recipient Bodhidharma ry. All help in organizing our Buddhist activities is also welcomed. This entry was posted in English by vimalamitra. Bookmark the permalink.